Jurgen Klopp has emerged as one of the most profound protectors of a club’s youth prospects and has shown little to suggest he will alter such a stance. The German is set to maintain a cautious approach that has previously seen him shun media attention surrounding Ben Woodburn and his record-breaking goal against Leeds as well as questioning his call up to the Wales international squad. He has once again touched on the position and future of Woodburn as well as that of fellow teenager Rhian Brewster with the pair continuing to catch the eye. “I know what we want to do but I will not talk about this now. It is not about keeping a position for them, they are too young for this,” he told the Liverpool Echo. 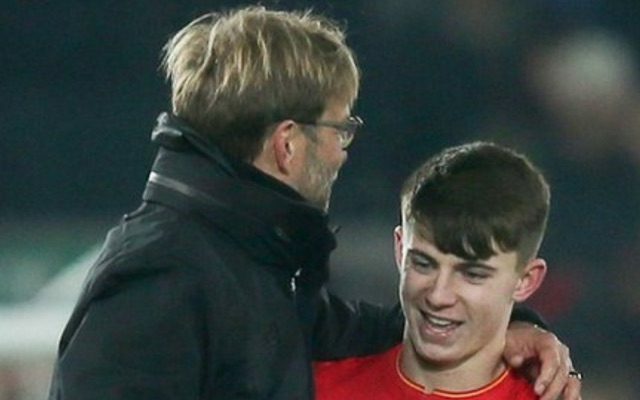 Woodburn has already featured for the first team on a number of occasions thanks to the outstanding season he has been having for the U23s. A swift rise from the U18s to the U23s has also seen Brewster make a good impression and one that recently granted him the opportunity to participate in first team training as well as a place on the Liverpool bench in the 2-1 defeat to Crystal Palace. Inevitable arrivals in the summer transfer window are sure to make their fight for a start more difficult but shouldn’t deter the two 17-year-olds from realising just how highly Klopp values them.